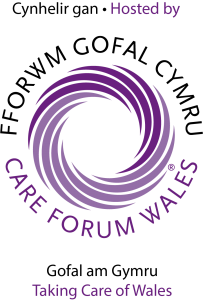 The prestigious national awards, run by Care Forum Wales, acknowledge the hard work and exceptional performances of those in the care sector and are widely regarded as the ‘Oscars’ of the care industry. Stephen, a former Ely Rangers footballer, said: “I was really nervous and excited at the same time. Winning gold is absolutely brilliant but I wouldn’t have been disappointed with silver or bronze. 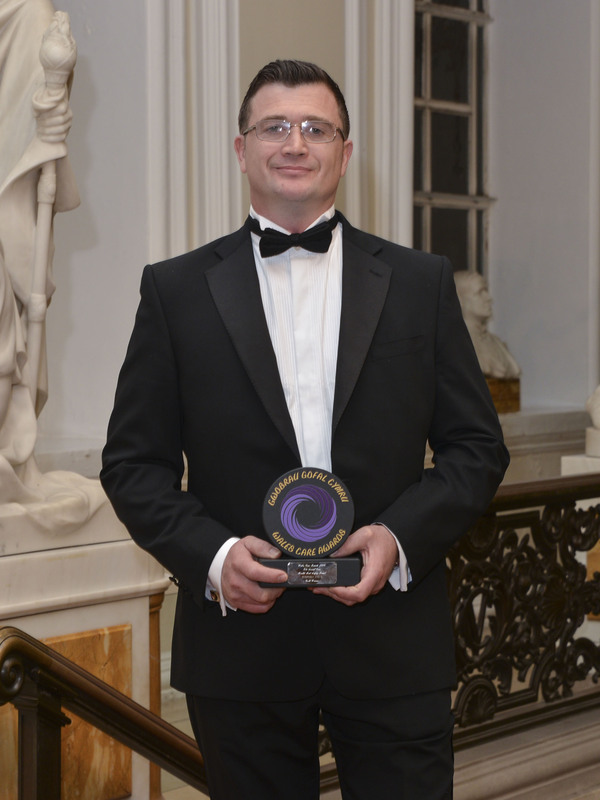 “I’m very proud and chuffed to have won. My phone has been constantly out since coming back to the home as all the residents want to see the photos from the night. “It’s nice for them to be able to share in the success. Everyone has been asking to see the trophy. Stephen, who has been in his current role for the past eight years, works around the clock to ensure his residents have the best living environment possible – including personalising the décor of their bedrooms to create a home from home. The health and safety worker, who is often called out of his bed in the middle of the night to fix unforeseen maintenance problems, has had a few more interrupted nights since the birth of his son Brodie Ivins, 16 months ago, but admits he wouldn’t change his job for the world. His ‘uncomplaining’ approach to his work and his effort to get to know the people he works with to find out what makes them happy has made him a hit with staff and residents. His colleagues are convinced he has a ‘magic cupboard’ full of homely ornaments and interior flourishes to create whatever bedroom environment his residents need. Stephen, who lives with his partner Gemma and attended Bishop of Llandaff School in Cardiff, admits the only time he is unpopular with the residents is when he has to test the fire drill. “They all love me for that,” he joked. “We have to test the horizontal and vertical evacuation procedures which involve getting people down the stairs on sledges. “I’ve had call outs myself at 3am and I’m kept rather busy. The last time it happened, my son luckily stayed asleep. I’ve had other phone calls where I’ve woken the whole house up but luckily my partner is very good and understanding. Stephen, who used to manage youth football teams for Cardiff Hibernian FC, as well as play in the adult team, was accompanied to the awards ceremony by his partner Gemma. In nominating Stephen for his award, Kate Stephens, registered manager of the home, said: “Steve works tirelessly to ensure the health and safety of residents, staff and visitors to the home is at the forefront of their daily lives, often working additional hours without complaining and always with a smile.